Elegant and Vanguardist Multipurpose WordPress Theme suitable for any kind of creative and business use. 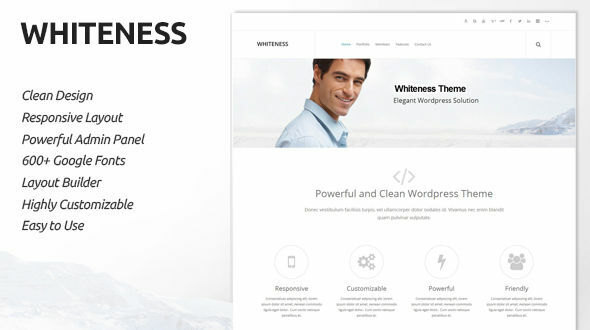 With Whiteness Theme you could customize background colors, page layouts, fonts, sizes, areas, and much more. The theme includes a drag and drop page builder to improve the design experience. Add sections, columns and modules as you desire and then save the layout for future uses. Every layout included on demo is highly customizable.